Once God makes a promise to you that promise will never be able to escape even when it seems to have disappeared from your sight. God has a plan to reconnect you with His promise and experience the joy of its fulfillment. I watched a YouTube video showing a police pursuit. When the pursuit reached high speeds through a residential neighborhood the officer deployed something called StarChase and backed off the pursuit. StarChase is a GPS tagging system that shoots a projectile from the police unit at the vehicle being pursued. A sticky substance on the end of the projectile adheres the projectile to the trunk area of the fleeing vehicle. StarChase allows the pursuing officers to back off a dangerous pursuit and safely track, monitor, and eventually locate the suspect vehicle. If you are reading this and you feel like a promise has eluded you, don’t let worry fill your thoughts. There are times when a promise will move beyond our reach for a variety of reasons – some of those reasons are out of our control. When this happens it is important to know that God has tagged the promise with your name. It cannot get away because in Jesus all of God’s promises are “Yes!”. Every promise made by God has been tagged with that "Yes!" label and your name. God will be faithful to reconnect you with an elusive promise. It will be found awaiting your arrival for its time of fulfillment. You can back off from worry and rest in the faithfulness of God to deliver what He promised. We live in a world where prominence is seen as a promotion. We are told the trajectory of our lives must always move upward and outward toward a place of greater visibility. In the Kingdom of God, the opposite can actually take place when the hand of God is on a person’s life. God’s promotion may lead us into a place of obscurity. In obscurity, lessons are learned that are not always encountered in a place of prominence. Don’t seek a place, either prominence or obscurity. Only follow the leading of the Spirit. Allow God to provide the destination for your obedience. A destination is not your goal. Obedience to the voice of God is your goal no matter where that obedience may lead. The lessons you learned in past transitions will help guide you in your future transition. Revisit those lessons and learn from them again. Just like professional athletes revisit the basics of their sport with their coach, so the followers of Christ revisit the early truths God deposited in them. Your current understanding of life has been constructed from those foundational truths, so if you neglected or discarded them, revisiting them will help you reconnect and finish well. Early truths are not inferior truths. Basic training for soldiers establishes cohesiveness in the military unit. Those basic disciplines help keep casualties to a minimum and provide a commander with soldiers who have learned to obey his commands. Any time we have success, we are susceptible to the illusion that our success birthed itself. Success does not birth success. Love and faithfulness in all areas of life are what births the fruit of success. This kind of success— sourced in God’s Kingdom—is not always large and visible in a natural sense. It is a success that can be traced back to those early lessons we learned through love, faith, and obedience. The day after celebrating the resurrection of Jesus it is important to realize His death and resurrection were not single, isolated events. The life and death of Jesus are so powerful they created a spiritual chain reaction that continues to confront death and despair throughout all the realms of human existence. Consider the relationships and situations in your life you now see as dead and gone forever. The graves holding these things have the potential to open and release their contents to the voice of the Risen One. This morning, I read Matthew’s account of Jesus’ death that took place three days before His resurrection. Imagine the power released when Jesus rose from the grave and defeated death! Matthew wrote, “Then Jesus shouted out again, and he released his spirit. At that moment the curtain in the sanctuary of the Temple was torn in two, from top to bottom. The earth shook, rocks split apart, and tombs opened. The bodies of many godly men and women who had died were raised from the dead. They left the cemetery after Jesus’ resurrection, went into the holy city of Jerusalem, and appeared to many people” (Matthew 27:50-53). What we once considered dead and lost forever has the potential to walk back into our lives more alive than at any time before. What happened on the day of Jesus' death has the same potential in our day. Imagine the scene in Jerusalem when dead and departed loved ones knocked at the front door of their homes where those inside were still mourning their passing. The death and resurrection of Jesus are not events lost in history. These are eternal events free from the constraints of time and space - free from the grip of death. The announcement of the death and resurrection of Jesus traveled through the known creation past the farthest border of outer space to the edge of nothingness and declared His victory. The evidence of Jesus' death and resurrection will be walking toward you today. Ask the Lord to help you see the evidence of this approaching resurrection life. It is all around us if we choose to see this life with the eyes of faith. This morning at Living Waters Church in Medford, Oregon, I was undone emotionally. The worship team took us to the heights of worship with the passion of their hearts and the excellence of their musical skill. As the worship team sang about Jesus taking His first breath after His resurrection, I could not contain my emotions. I actually heard Him taking that first breath. I was undone knowing that someday I will also draw the same breath after my own resurrection. "He is alive" is not a slogan. Jesus is real and tangible to all who seek Him. This morning, I walked outside and stood on our front porch while it was still dark. I wanted to experience the predawn environment of the first Easter morning when Mary Magdalene came to visit the Lord’s tomb. Scripture says, “Early on Sunday morning, while it was still dark, Mary Magdalene came to the tomb and found that the stone had been rolled away from the entrance.” Mary’s first thought was to think someone had stolen the body of Jesus. As you walk into your place of worship this morning, ask God to help you encounter the risen Lord, not an Easter program. That encounter will change everything. All the historical facts about Jesus’ resurrection and the gauzy, stylized social media Easter images cannot give us the faith we need to press on when we want to give up. Only an encounter with the Resurrected One can give us that kind of faith. The cross and the tomb are both empty, but the throne is forever occupied. That is God’s Easter message to the Church – Jesus has risen to His place of honor! He was raised from death to occupy a place of enthronement where all powers and authorities contrary to the love and will of God are in submission under His feet and as a result of His victory, under our feet as well. The suffering of the cross and the darkness of the tomb were only temporary stops along the way toward the ultimate fulfillment of Christ’s mission - enthronement. As you worship the Lord this Easter, take time to contemplate your place in Jesus seated with Him upon His throne. This is not a future event. It is your present reality. That understanding has the potential to change everything. “For he raised us from the dead along with Christ and seated us with him in the heavenly realms because we are united with Christ Jesus” (Ephesians 2:6). We have become a culture that moves from one breathless presentation of doom to the next without taking a breath. If you don’t think this is true, turn on the news. Everyone has a crisis to sell. It has become a profitable product-selling industry in the culture and unfortunately, within the Church. What we fail to consider in these offerings is the impact they are having on our emotional and spiritual wellbeing when we continually subject ourselves to this kind of unrelenting sales pressure. If we allow our undisciplined emotions to lead the way we will eventually become a customer for the merchandise offered by the crisis-sellers. At that point, we become part of the crisis. Today, evaluate the crisis you are being asked to purchase with the hard-earned currency of your mental and spiritual peace. What you end up owning may be worse than the perceived crisis you were trying to avert. 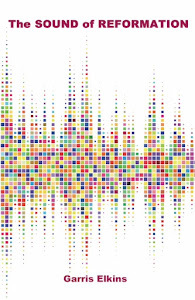 Each time we speak the sound of our voice travels as an echo toward destinations beyond our initial audience. Our words do not fall to the ground and die. They are a powerful force that continues to echo an impact long after a conversation has ended or a statement has been made. When I wrote the book The Sound of Reformation, I unpacked some of the significance of that echo. “These new, Spirit-indwelled disciples came to the Day of Pentecost in obedience to the marching orders Jesus had given them. On that day, a new sound was released: “Suddenly, there was a sound from heaven…” (Acts 2:2). "The word translated as sound here is ēchos: it means sound or noise (and is also the root of the English word “echo”). The same word was used in Luke 4 to describe the sound of a testimony created by the ministry of Jesus when a demon-possessed man was set free. It was also used in Hebrews 12 to describe the sound of a ram’s horn trumpeting the Israelites to attention to hear the word of the Lord. The Church has been called to make the sound of love that will echo through each sphere of cultural influence. If love is not the motivator behind the words we speak then our righteous influence will diminish and we will be aligned with the sounds of another kingdom. Be wise in your choice of words, but even more importantly, catch those words in your heart before they fully form and escape to become a dark echo used by the enemy to show the world the sound made by the Church is no different than the sounds made by the surrounding unredeemed culture. Last weekend, a sad and tragic incident took place in our area when someone out for an early morning walk, was stabbed by a delusional man. The suspect had been hearing voices for the last 18 months telling him to kill someone. Finally, he obeyed those voices and stabbed the first person he saw when he exited his apartment. The victim was wearing earbuds listening to something on their smartphone oblivious to the world around them and fell prey to the madness of the suspect. The victim thankfully survived the knife attack and the mentally challenged man was arrested later in the day. The victim has the right to live freely in any way they want. I am sorry that a beautiful Sunday morning walk was interrupted by a senseless act of violence. While we want to honor the freedom of another person, there is something to learn from their story. We need to be aware of our surrounding reality. Cutting off one of our senses (hearing) by wearing earbuds in a public space is mentioned by people in the security and survival business as a way to increase your chance of becoming the victim of a crime because you are not able to hear the attack coming. The same is true in our spiritual life. There are two realities. The spiritual reality that surrounds us and must always be discerned and a false reality we try to fill our spiritual ears with to mask the things we don’t want to hear. There are a plethora of offerings ready to fill our ears with rage, malice, and anger that will deafen us to the calls for peace, justice, and honor. In that condition, we can walk by the very people God wants us to touch because the sounds of a false reality have drowned out the sound of their plea. The day of the knife attack both parties were hearing voices. The victim was innocently listening to the sounds they thought would enhance their morning walk and suspect was being coaxed by something malevolent, dangerous and delusional. The victim and suspect met at an intersection of sorrow because neither one had a grasp on their surrounding reality. Be wise in what you allow to fill your ears. Your life, both naturally and spiritually, depends on that choice. Belgian priest, mathematician, and astronomer, Georges LeMaitre wrote to Albert Einstein inquiring about his theory of relativity. In his letter, LeMaitre made the following statement “Your theory suggests there was a day without a yesterday.” The inquiry was a statement crafted by a person who was both a scientist and a theologian. LeMaitre developed a theory that would later become known as the Big Bang Theory suggesting our universe had a single moment of creation that set in motion an expanding universe. That first day of the Big Bang was a day without a historical yesterday. All things became new at that moment. A follower of Jesus Christ is supposed to live each day with the same newness that would have taken place on the first day of creation. With each new day, we are offered a day without a yesterday. Our sinful past does not follow us in the mind of God. What follows us is a slate wiped clean by the mercy of God. That realization might be the most profound expression of God’s love a human will ever experience. God spoke of that reality in Scripture, “For I will forgive their wickedness and will remember their sins no more” (Hebrews 8:12). We are being followed by a yesterday of complete forgiveness. We cannot run away from the love of God. Every lie that wants to pull us back into a false yesterday where regret and sorrow attempt to displace the love of God must be challenged. When lies appear and attempt to communicate an unforgiven past, confront them and say “No more!” God has chosen to remember our sins no more and neither should we unless the Spirit brings them to mind as part of a redemptive process. Any other remembrance of a painful yesterday is a lie. Today is truly the first day of your new life - a day without a yesterday. Everything in life has a list of ingredients. It is wise to look past the surface advertisement and discern the content of what you are being invited to consume. If you are dating, what appears to be a potential Mr. or Mrs. right is not always right. Smiles and promises offered before the mutual commitments of a life-long marriage are made has left a long trail of tears that keep pastors and counselors busy. It’s also true in politics. Just a few weeks ago a prominent political party in our country who represent themselves as the party of the people said it was OK to kill an innocent newborn baby after a botched abortion. With a straight faces TV personalities wearing $3,000.00 suits, flying in private jets, and living in multi-million dollar mansions hit you up for your hard-earned cash to fund a “ministry” project. They fail to tell you that in the small print of their donation agreement they are allowed to use the money in any way the ministry sees fit. Reading the labels is called discernment. Discernment helps us to see beneath the surface of a misrepresentation to discover the real ingredients of a product that might be harmful to our emotional or spiritual health. Ask someone who married a charlatan or someone who has come to realize in horror the spirit motivating a particular camp within a political party or someone who fell victim to a well-crafted con job masquerading as a ministry appeal. The ones duped by these false representations will tell you they skipped over the process of discernment to their regret. Read the labels of the appeals that come your way. The health of your spiritual and emotional future requires that you look below the surface of these offerings to discover the real content of what you are being asked to consume. When Tiger Woods won the 2019 Masters golf tournament this weekend, CBS headlined his victory with the words, “The Return to Glory.” At age 43 and 11 years since his last major victory, along with a life filled with disappointment and injury, some sports announcers are calling Tiger’s comeback one of the greatest in golfing history. As an 11-year old boy, I remember walking the 18th hole at Pebble Beach with my father when he won the California State Championship for his handicap division. I still have the trophy handed to my father in front of the clubhouse on that day 58 years ago. What was unique about my father’s win was the fact that 9 months prior to his victory was the first time he ever held a golf club. He won the championship with a cheap set of ancient clubs he bought at a pawnshop. He was a natural. Both Tiger and my father did something the doubters would say was not possible. I have come to realize, having walked with God for so many years, that He loves to do what seems impossible. For Tiger, he returned to former glory. For my father, he experienced golfing glory for the first time. The glory of God is different. It is available to all believers, not just those who stand in the winner’s circle. We carry the glory of God and in some instances of life that glory will become what has been termed the manifest glory of God. This is when the glory of God is released in a tangible way during worship or in the midst of human conflict and it becomes obvious that God is present and working beyond our natural ability or our wildest imagination. As I read the caption from CBS news about Tiger's return to glory, I sensed the Lord speaking to me about something more than a sporting victory. We are in a moment of history when God is calling, and in some cases calling back, believers who have been written off as too failed or too fragile to be trusted with a shot at victory. While the world, and unfortunately some in the Church look only at the rising stars, God has not forgotten those who failed or were never even considered as candidates for something new. When the glory returns, those who step forward in obedience to the call will experience unusual demonstrations of God’s presence. When this happens it will be obvious to all the glory has indeed returned. In a life transition, one of the greatest battles you will face is to believe the best. When the reality of what we know and are comfortable with starts to change, we can easily become insecure because the things we once controlled are no longer within our control. And when we’re not in control, we can begin to believe the worst. Fear speaks the loudest when we feel our destiny is outside our control. We can begin listening to lies. If we allow these lies to remain unchallenged, we make room for a negative mental dialogue to develop that talks us into believing that we have a hopeless future. We fight the worst by choosing to believe the best about God and people. God is the supplier of the best. He is the one who is bringing a good future your way. Trust makes a way for hope, and hope is the hinge that your transition will swing upon. As you walk through this doorway, you will be imprinted with heaven, and you will carry that imprint into your next assignment. 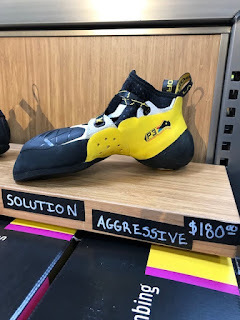 I was walking through our local REI store and checked out the mountain climbing section where I noticed a shoe display. The climbing shoe designs were varied and unique. I saw one pair of radically designed shoes with the model name of “Solution.” They are rated as an aggressive design for radical climbing. The shoe was designed for climbing difficult routes allowing a climber to gain and hold a narrow foothold enabling them to move higher. Trying to climb a rock wall with the old Merrill hiking shoes I was wearing would be a prescription for disaster. God is preparing you to ascend to a new season. What worked in the past will not work in the coming ascent. There will be no place to put your feet if you do not climb under the direction of peace. A continuance of strife will only provide you with unsure footing and increase the risk of falling back into the past. Remove the ill-suited footwear of strife and worry. Peace will reveal the safest route upward. Seek peace and prepare yourself accordingly and will find your way to the summit of the next season. “For shoes, put on the peace that comes from the Good News so that you will be fully prepared” (Ephesians 6:15). I remember reading about a young woman who was part of a team of noted researchers who accomplished a major scientific breakthrough. Her research produced the amazing results being celebrated by others yet her name remained hidden and unrecognized. Everything changed when another young woman who had risen to public notoriety from a place of personal obscurity noted her valuable contribution and made her name known on social media. The young woman was finally honored because someone noticed her. We need to ask God to help us see the unnoticed ones who work behind the scenes. We live in a culture where those already standing on the public platform receive most of the praise and acclamation. Without the pivotal contribution of these unnoticed ones, the great accomplishments being celebrated would never have taken place. When you see these hidden gifts let them know you see them. They may be that one person who is the glue that holds an entire family together. They can be someone who introduced two people who formed a critical relationship that led to a powerful alliance or someone who gave of their limited finances to help an entrepreneur get started. They might lead a Sunday School class in a small church out in the middle of nowhere who led a great revivalist to the Lord. These people are all around us faithfully fulfilling their calling in life. Noticing the unnoticed is something Jesus did very well and it is a skill all of us need to develop. Jesus saw apostles in fisherman and a future disciple in a tree. He saw an undiscovered evangelist in a Samaritan woman drawing water at a well. Destiny is discovered when someone is noticed. Seeing someone values them as a human being created in the image of God and that is the most beautiful thing to notice. The realities of God are so far beyond our wildest imagination that unless He reveals Himself to us we would remain unknowing. God has been revealed in the person of Jesus Christ and in the evidence of His creation. Using a collection of telescopes scattered around the world called the Event Horizon Telescope Project astronomers have taken the first photograph of a black hole in outer space. It took scientists 2 years to create the photographic image. The black hole is called M87 and is located 50 million light years from Earth. To give you a perspective of its size M87 can contain 6.5 billion of our suns. Our sun can contain over a million Earths. A black hole is created when a star collapses creating an infinitely dense and dimensionless point in space. The edge of a black hole is called the event horizon. The image of a black hole looks like someone pulled the plug on an immense drain in the middle of space. The circular edge of M87’s event horizon is an opening measuring 7 billion miles. Black holes create a tremendous pull sucking objects into its dense interior. That pull is so powerful it can swallow stars, matter, and even light. Once inside nothing can escape. Even time and space are altered in and around the opening of a black hole. Why does this matter? It matters because all created things from solar systems to stars, undiscovered galaxies and beyond were all spoken into existence by God as easy and you or me having a casual conversation in a local coffee shop. This God who is beyond our ability to fully contemplate has initiated a relationship with us in Jesus Christ. It matters today when a personal problem becomes overwhelming or a relationship falls apart or a loved one dies. When these painful things happen, take a moment and contemplate the immensity of God. As immense as His creation may appear, it is not infinite. Only God is beyond measure. All creation is only a created thing – even what exists in the most remote depths of undiscovered space. God spoke them all into being by just the sound of His voice. The only thing beyond space in size and measurement is the love of God. His love dwarfs the most mind-bending discovery we will ever make in far reaches of outer space. That is why the contemplation of God’s love matters when we enter a challenging season of life. It gives us perspective. To know we are loved by God is the greatest discovery we will ever make. This morning, my daughter, Anna, returns home after three weeks away. Anna and a friend led teams of writers in Spain and Morocco. She flies home today from Paris. 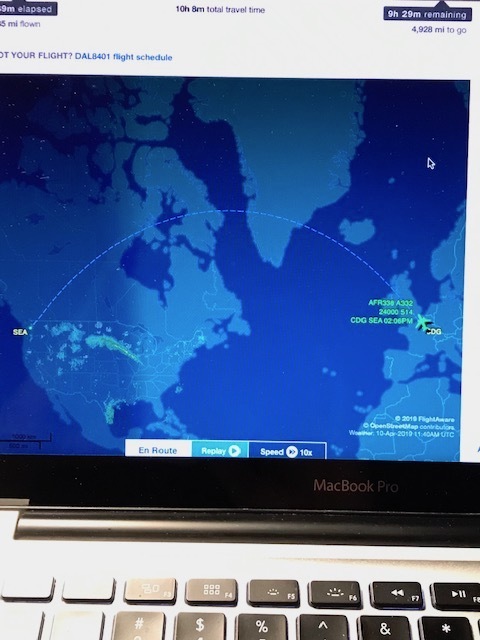 In the image of my computer screen you can see the flight-tracking program I use that lets me watch the progress of Anna’s flight. Her aircraft is the little airplane icon depicted on the right side of the dotted flight path. Jan and I have always prayed our kids home whenever they are away. 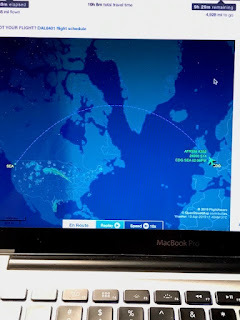 As I watch Anna’s return flight progress, I thought of Jacob and the dream he had at Bethel about a stairway to heaven. During the dream, the Lord spoke to Jacob and said, "I am with you and will watch over you wherever you go, and I will bring you back to this land. I will not leave you until I have done what I have promised you" (Genesis 28:15). There are times we can feel alone in this life like someone flying in an aluminum cylinder 30,000 feet above the Earth through a dark night sky over a vast ocean. We are never alone in these alone times. God is watching over us no matter where we may travel in this life. He will stay with us on the journey and bring us back home because He is faithful to accomplish what He promised. My daughter, Anna, lives in a loft apartment. It is a classy and hip place with a clawfoot tub, skylights, and unique furnishings. It is decorated as only an artist and poet could decorate a living space. When Anna was creating the loft she found an old barn that was being torn down. The barn was at least 100 years old. Anna asked if she could have some of the barn wood to use as flooring for her loft. It was my job to plane each plank using a wood planer. After the resurfacing was complete, we discovered beautiful wood grains and unique textures. The planks of repurposed barn siding were stained with a clear stain and installed as flooring. The texture and color of the wood flooring made the loft pop with beauty and class. Anna found smooth river stones from the Applegate River near where the barn once stood and placed the stones in each of the empty knotholes in the floor. The flooring is a truly unique creation. The process of repurposing the barn wood reminds me of what some of you are about to experience. A season of your life has ended. You have served a purpose but now you wonder what is coming next. The exposure to the emotional and relational elements during the last season has weathered and fatigued you to the point that the structure of your life needs to be repurposed. You have wondered if anything good would ever come from that long and exposed season. You have also wondered if your lot in life is to simply decay away like an old abandoned barn out in the middle of a field. Before the next season of your life begins, you will enter a God-inspired process of repurposing. God has something in mind that will surprise you, not only in its resulting beauty but where that beauty will be installed. As you have contended in faith the interior beauty of your life has remained intact and deepened in the character of its expression. In your repurposing, God will plane off the painful exterior and reveal the interior beauty of your life. He is making you ready for installation in a new place for the next season of your Kingdom effectiveness. That repurposed place will cause others to stop and comment on the beauty of your life not realizing where you came from. God always has a plan to repurpose our lives at the end of each season. When He is allowed to have His way that repurposing will always create something beautiful. The phrase uttered by Jesus “Get behind me, Satan!” was spoken in response to a comment made by Peter in a moment of bravado. The rebuke took place when Peter tried to interfere with Jesus going to Jerusalem to encounter the Cross. Jesus had just told His disciples He must go to Jerusalem to suffer many things, be killed and raised on the third day. Peter blurted out, “God forbid it, Lord. This will never happen to you” (Matthew 16:23). It was then that Jesus spoke His words of rebuke to the spirit motivating Peter’s undisciplined comment. The “Get behind Ne, Satan” statement modeled a level of faith that did not allow Satan or any lie to take up an unchallenged place in the scenery of Jesus’ future. Jesus was vigilant regarding the works of hell. The same must be true for us. Many times a lie will take up residence in our mind when we allow the junk of hell to stroll through our thought life unchallenged. This isn’t always a sexual image, it can be a prideful thought or a scenario of revenge where we try to get even with a betrayer. If left unchallenged, these thoughts will take up a dominant position in our thinking. Instead of Jesus being the image of our future, the landscape of our thought life can become littered with lies and deception. These dark thoughts were sent on a mission to displace truth and lead us away from our appointment with destiny. That is what Jesus was challenging when He rebuked Peter. This is what we are called to challenge as we partner with the Spirit in the process of having our minds renewed. Once you realize a change is needed, you are usually a bit late. But don’t worry if you think you have missed an opportunity. God knows how to accelerate things to bring your transition up to speed and in line with his plan. There are times in each transition when we feel like we may have missed God’s timing. We can feel like our best opportunity has passed us by. In these moments, we need to trust God to make things right. God loves us. He wants us to understand his heart. He doesn’t want us to miss any opportunity he has created. He will do anything within his power to align our lives once again with his purpose. God knows how to accelerate a missed opportunity to make it a present possession. Don’t linger in a place of worry, fretting over what you might have missed. Give God those missed opportunities so they will not become regrets that can immobilize your life and open the door to self-pity. Let God handle the missed opportunities. Today, in the early morning hours at precisely 5:23 a.m., I heard the phrase “Angel of Nations.” I looked toward the front door of our living room and sensed a presence. I knew an angelic visitation was taking place. I could sense, but not see, the angel. As I engaged the angel’s presence, I began to hear instruction and receive insight. It was then that I looked down and my computer screen and noticed the time. In some way the date and time were important. I was told the Angel of Nations is the angel sent by God and tasked with helping the Church fulfill the Great Commission as described in Matthew 28. This angel is so powerful he has authority over all the principalities and powers that currently control the nations of the Earth that are not yet under the influence of God’s Spirit. As I waited in the early morning stillness of our living room, I saw this angel gathering nations under his wings as a prophetic sign of his mission on Earth. I believe the Lord allowed me to see this image because it is the work He plans to accomplish in the nations. I was also able to see this image because it will help us develop a deeper understanding of our role in the fulfillment of the Great Commission. This Church has been given the authority of Jesus to accomplish an ingathering of nations that will result in the fulfillment of the Great Commission. Jesus said, “I have been given all authority in heaven and on earth. Therefore, go and make disciples of all nations…” (Matthew 28:18-19). The Angel of Nations has arrived to accelerate the reformation of nations by the Spirit-empowered discipleship of individuals in each sphere of cultural influence represented within each nation. Instead of a confrontation with nations still under the influence of darkness, I believe we will experience a reformation of our mission that will cause our redemptive effort to look more like the unfolded and inviting arms of a loving Father. As the Great Commission grows in its impact, we will see nations stepping under the protective and loving covering of God’s presence. This ingathering of nations will take place because God will offer them a place of safety and security in a world filled with jeopardy and danger. What God sent the Angel of Nations to accomplish in partnership with the Church will be similar to the words spoken by Jesus over Jerusalem, “How often I wanted to gather your children together, the way a hen gathers her chicks under her wings, and you were unwilling” (Matthew 23:37). The Angel of Nations has been sent to help us invite the nations of Earth to come and find rest under the wings of God’s love and mercy. That is our commission. It is a Great Commission. There are some roads we choose to journey upon that will never lead us to the will of God. These roads are not dead ends. They keep going on and on in the wrong direction offering false hope, draining our emotional energy, and never delivering us into a good place. Leaving these roads of despair only happens when God intervenes. Human will and planning cannot rescue us no matter how wise our plan or resolute we might be in changing our life-direction. The only way off these roads is to call out to God. When He hears our cry He will come and pick us up from the wrong road and put us on the roadway He originally intended for us to travel upon. This is an act of God’s mercy. It is similar to what Paul wrote about to the Colossian church regarding what happened when we are born again, “For he has rescued us from the kingdom of darkness and transferred us into the Kingdom of his dear Son, who purchased our freedom and forgave our sins.” (Colossians 1:13). God is in the transferring business, not just at the moment of our salvation but through all seasons of life. If you are on a road leading to nowhere, call out to God. At that moment, the hand of God will begin moving in your direction to take hold of your life and make the transfer onto a new road. The time between your plea and your new placement is where hell will try to rob you of your joy and expectancy. When you first believed the mercy of God was possible a shift in your thinking began to take place. The thought that a transfer is possible is so powerful it will not allow this temporary road of despair to rob you of your joy in your time of waiting. God is coming for you. He will be faithful to do what He promised. Recently, I met with a spiritual son who lives in a distant city. We touch base each year when he is in town. The moment we met I saw something new and fresh in his face. By his own admission, the unresolved wounds from his past had dictated his response to life. He said his change did not come from having a single significant breakthrough moment in his life. The change came from an accumulation of a series of small adjustments he made over time regarding his attitude toward God and people that led him to become a person who now exudes a life of breakthrough. My interaction with this young man verified something I have felt for a long time. Like my young friend, many of us have spent our time, energy and resources searching for a single significant breakthrough moment that will change the trajectory of our lives. Books, conferences and entire theologies make this promise to sell their product or invite us to subscribe to their way of thinking. These moments do happen and we should always be open to their possibility, but they are rare and not given to every life in every circumstance. To live in this kind spiritual suspension waiting for these experiences can waste a lot of life. What I am realizing more and more is that a healthy spiritual life is a collection of smaller victories and responses of faith that when added up actually become the breakthrough we seek. A life of dedicated daily obedience and faithfulness is rare and many times overlooked in its significance. While we always want to be open to a Damascus Road experience never forget this kind of event only happened to Paul and a few people in the biblical record. The rest of the people were living less dramatic versions of daily life. They expressed a life of breakthrough by faithfully showing up for work, managing their attitudes, loving family and friends and thanking God every day for His goodness. These acts of accumulated faithfulness can add up and become a life of continual breakthrough expressed over time. Examine your history. As you inventory your life look into a mirror. You might see someone looking back at you whose life has already become the breakthrough you have been seeking. You have wisely closed off an area of your life. This is a time for only you and the Lord to have access to that wounded place while it is being restored. You have needed time to heal. 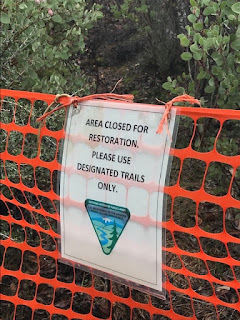 I was hiking to a high point overlooking the trail system above our home and saw the sign depicted in the photo. The sign was placed at both ends of an unauthorized trail that had created a cut off through a series of switchbacks. The barrier and sign have been in place for a year. In the year since the trail was blocked off the vegetation has grown back and the scar is almost healed. Some of the individuals or groups who did the wounding by trampling your life in dishonor now want to hike that part of your life once again. You have wisely set boundaries and rerouted that negative relational traffic. Hold your ground. These areas are not for just anyone to enter. Only trusted and true friends get to visit these areas in your life and that will be at your invitation. You will know when you have found that kind of friend. They are the ones who will never take a wounding shortcut. In the affairs of life, it is God who will have the last word. At best, prophets only prophesy in part no matter how accurate a prophecy might appear. We are messengers who carry a small part of a greater revelation known only to God. God not only saves the best for last – He has the last word in all things, even when it comes to our most detailed and expansive revelations. From time-to-time, all of us will add personal opinion to the revelation we release. Any addition of content to what God asks us to speak is our opinion. Opinion is not just verbal. It can be our style of presentation, our response to the expectation of our listeners, our tone or even our timing. Hopefully, at some point in the maturing process of our gift, we will learn to discern the difference between opinion and revelation in order to preserve the purity and integrity of our message. Where our prophetic gift can go sideways is when we think our opinion is fully the opinion of God. At this point, pride pays a subtle visit and attempts to elevate our opinion beyond what it should be to become an equal reflection of a greater and more complete truth known only by God. Well-meaning listeners of the same opinion can begin to champion a ministry and put people on pedestals where no human should stand. Paul wished all believers would prophesy at some level. That wide-open invitation to share a word from the Lord can only be safe and trustworthy when we remain humble in our understanding of our prophetic significance. “Jesus has the last word on everything and everyone, from angels to armies. He's standing right alongside God, and what he says goes” (I Peter 3:22 MSG). In each culture, we are offered the choice to become a parrot, a puppet or a prophet. Parrots are trained to repeat prepared statements not knowing their actual meaning or the source of what they are parroting. Puppets respond to life at the whim and control of individuals and institutions that dictate their response to life and the venue of their cultural engagement. Prophets are different. They have learned to listen to the voice of God and respond only to the impulse of the Spirit. They refuse to parrot prepared statements or dance around like a puppet at the end of a puppetmaster’s string. God is raising up prophets who will address, in love, deeply embedded cultural issues that parrots and puppets will never see or consider. Accepting the call of a prophet is a courageous decision. It will cause your voice and your actions to stand out and stand alone in a culture filled with the sight and sound of flailing puppets and noisy parrots. In any healthy relationship, you will discover that love, not fear, is motivating personal interaction. For example, in a marriage, one spouse can share a place of personal brokenness and not fear the end of the relationship. Children want parents whose first response to their failure is not punishment. If a parent is immature and repeatedly responds in fear, the child will cease coming to them and go elsewhere where someone will listen. As followers of Jesus Christ, we can change how we relate to each other in our relationships because we first discovered this kind of love when we received the unconditional love of God. We were able to come to Him and confess our worst sins and know that we would not be thrown away because His love had overcome the darkest elements of our lives. Confession without the fear of rejection confirms that love is present in a relationship. John wrote about this kind of love when he penned the words, “There is no fear in love, but perfect love casts out fear because fear involves punishment, and the one who fears is not perfected in love”(I John 4:18). When John used the word “perfect” he was using a Greek word that means, “complete”, “full” or “finished, lacking nothing.” Only a mature love can live without the fear that human failure can produce. It is free from the kind of fear that creates unloving responses to another person’s vulnerability in a moment of confession. The evidence this kind of love is present and mature is seen in its ability to cast out fear when it rears its ugly head. John intentionally used a word to describe this casting out of fear. It is defined as “to violently throw with force” something out of a relationship that is interfering with the atmosphere of love. It is not a gentle word. It describes a spouse aggressively taking hold of a lie the other spouse believes that traps them in the fear of rejection and aggressively tossing that lie out of the conversation. This kind of love creates a safe relationship where we can get in each other’s face over painful failures and allow only love to come between us. That is a perfect kind of love.